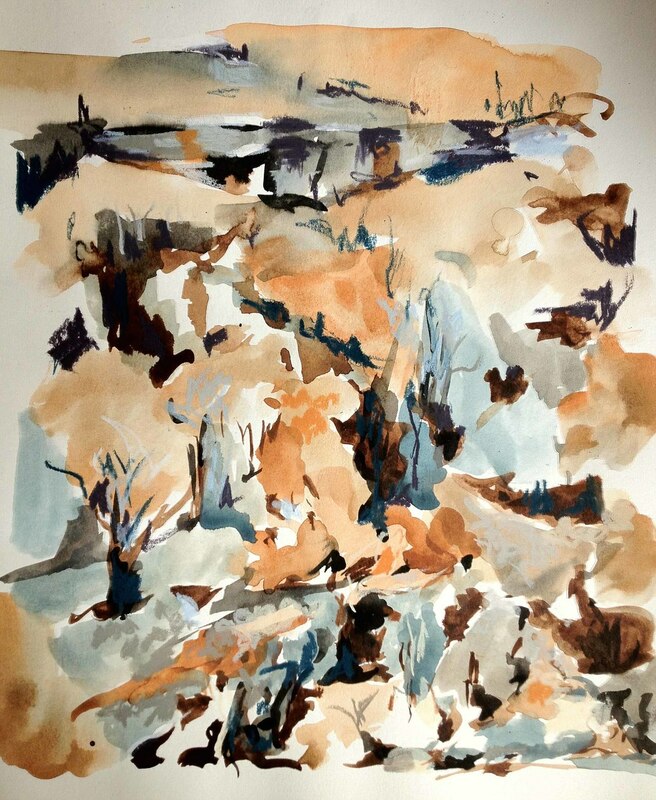 Coco’s practice has always involved sketching outdoors, particularly in Ku-ring-gai Chase National Park, close to her home on the Northern Beaches where she is surrounded by natural bushland. “I like the immediacy of responding to the landscape in which I find myself. I can sketch the same escarpment over again and new palettes, shapes and forms will present themselves. I may not like what I produce but when I take it back to the studio and out of context, I return to the same moment in time with the realisation I have taken on a small part of that place”. Recently she has been experimenting with carving back through paper.